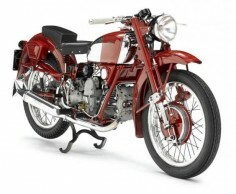 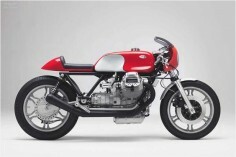 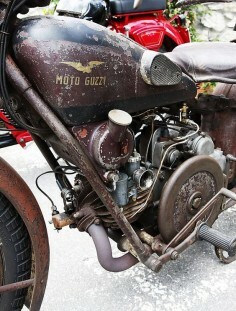 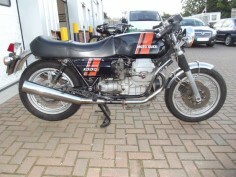 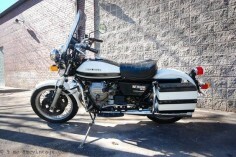 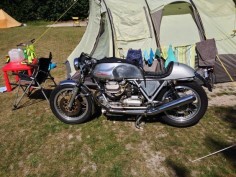 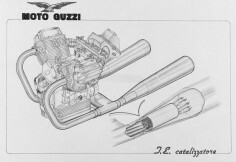 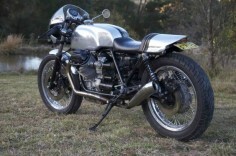 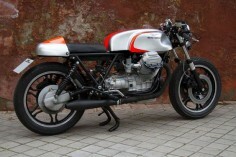 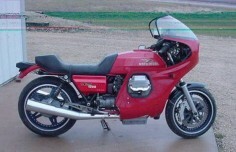 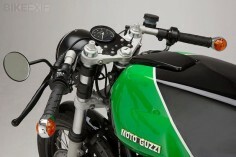 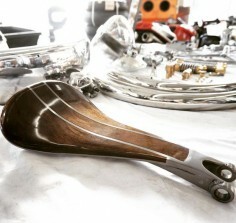 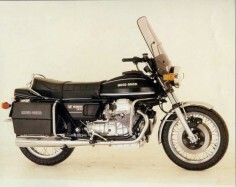 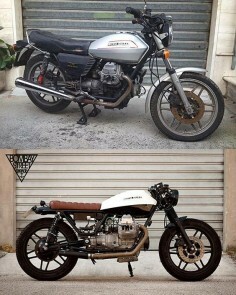 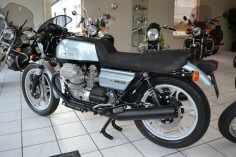 Moto Guzzi Falcone 6 740x610 1950 Moto Guzzi Falcone. 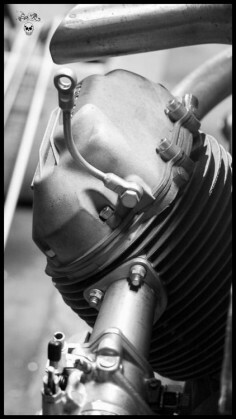 "Cheese slicer" exposed flywheel. 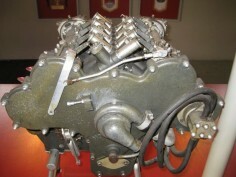 Engines were used by Swiss Military for decades beyond the civilian production run. 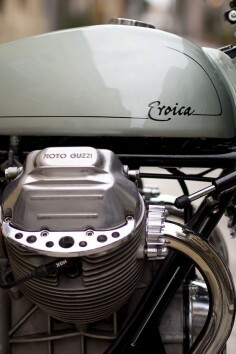 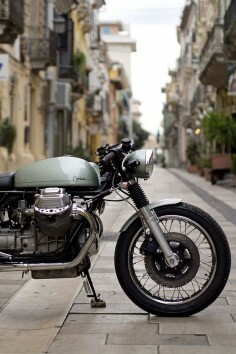 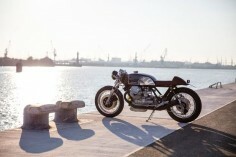 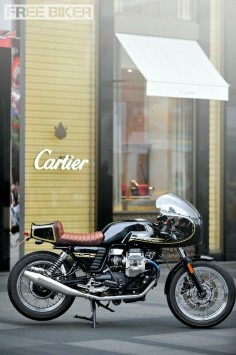 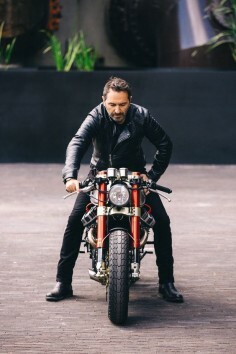 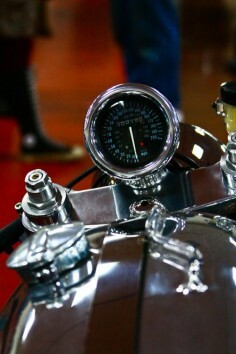 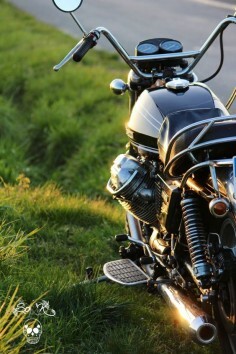 Vintage Motorcycle photographed by Matt Barnes. 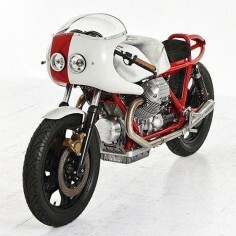 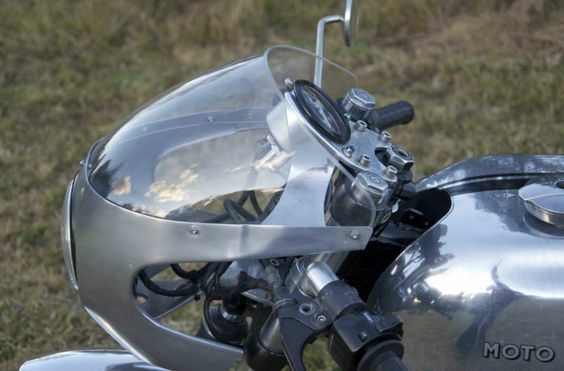 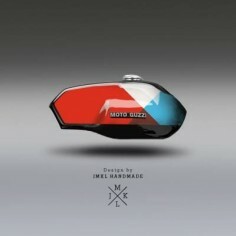 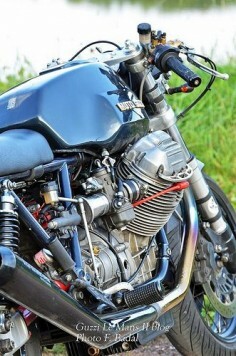 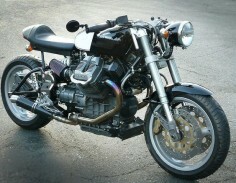 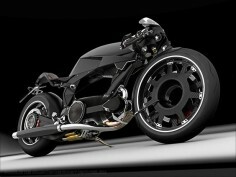 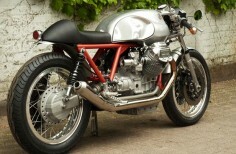 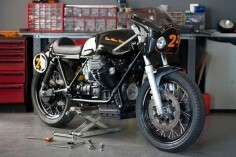 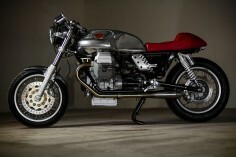 Moto Guzzi Big Mono Naked SD Concept. 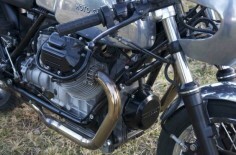 The front forks must be upside down forks. 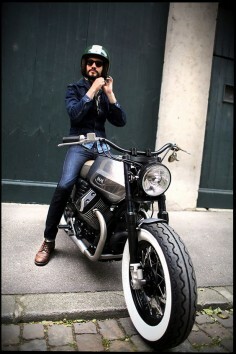 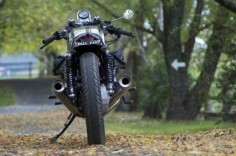 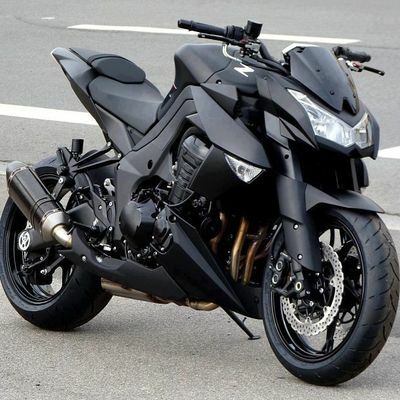 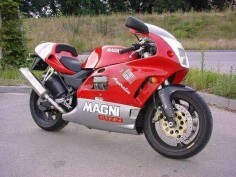 Help the motorcycle have that aggressive stance.